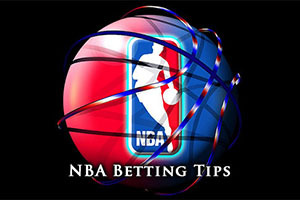 This Sunday is a lot busier and brighter for NBA betting action than last Sunday was. There is no pesky SuperBowl to contend with this weekend and there are a good number of basketball games to enjoy. There were also plenty of NBA games on Saturday, and we will look back on them first. The Wizards grabbed a home win over the Nets, winning 114-77 in Washington against the team from Brooklyn. The 76ers grabbed a big win in Philadelphia, defeating the Hornets by a score of 89-81. The Bucks defeated the Celtics at home in a close one, the Boston losing out 96-93 and the Jazz were comfortable winners at home against the Kings, triumphing by a score of 102-92. The Pelicans were trounced at home, the Bulls grabbing a big 72-107 win in Chicago. The Knicks also lost at home, the Warriors triumphing 92-106 9in New York. The Mavericks also grabbed a major win, defeating the Trail Blazers by a score of 111-101 in Dallas. This is a game between two teams who have an excellent run of form over the season, and indeed, in recent times. The Grizzlies may have lost their game, but they hold an 8-2 record in their last 10 outings, a record that the majority of NBA teams would be keen to hold. One team who wouldn’t be keen to hold that though will are the Hawks, who have won their last two games and who hold a 9-1 record in their last 10 outings. The Hawks head to Memphis with a 42-9 record, which includes a 17-6 record on the road. The Grizzlies have a 37-13 record, which includes a 16-8 record. For average points scored, the Hawks have a 103.8 record while the Grizzlies hold a 101.0 record. For average points allowed, The Grizzlies hold an advantage, 95.9 compared to the 96.9 allowed by the Hawks. The Hawks were home winners on Friday night against the Warriors, winning by a score of 12-116 while on the same night, the Grizzlies lost out to the lowly ranked Minnesota, losing by a score of 90-89. It may have been a narrow defeat but it was a game that many were tipping the Grizzlies to win with confidence so it was a bit of a surprise result. While the Hawks are only concerned about Shelvin Mack’s availability, the Grizzlies are looking closely at Jordan Adams, Beno Udrih and Tony Allen. You would fancy either team to win the game and taking the Hawks at +2, with odds of 1.90, will be a sensible bet. Bet Now! The Pacers and Hornets have both struggled this campaign yet the Hornets looked to be getting into a run of form. They lost their last game which will have come as a bit of a blow but they hold a 7-3 record in their last 10 games, which is a great record. The Pacers have won two in a row and they hold a 4-6 record in their last 10 outings. The Pacers hold a 19-32 record, which includes an 8-19 record on the road. The Hornets have a 22-28 record, which includes a 13-13 record in Charlotte. The two teams are quite evenly matched when it comes to average points scored and allowed. For average points allowed, the Pacers have the edge, scoring 95.5 to 94.5. The average points allowed sees the Hornets with the edge, 96.6 to 97.3. The Pacers had a big win against the Cavaliers on Friday night, triumphing by a score of 103-99 and placing LeBron and the team back in their place after a strong run. The Hornets had a bad night on Saturday, losing away to the 76ers by a score of 89-81. The Pacers could be without Lavoy Allen and Ian Mahinmi is being monitored regularly. The Hornets have big concerns over Bismark Biyombo and Michael Kidd-Gilchrist while Lance Stephenson and Brian Roberts are being monitored closely. Taking the Hornets with a -2 handicap, at odds of 1.90, is likely to be a sound bet for your Sunday basketball betting antics. Bet Now! The Clippers are on a losing streak of 3 games but they still hold a better season record and a better record in their last 10 games that the Thunder, who lost in their last outing. The Clippers are 6-4 in their last 10 while the Thunder are bang on with a 5-5 record. The Clippers hold a 33-18 record, including a 13-11 record on the road, while the Thunder hold a 25-25 (which is a big plus for any fans of Zager and Evans), and this record contains a 14-8 record at home. For average points scored, the Clippers hold a big advantage, sitting with a 106.5 record while the Thunder hold a 99.5 record. The Thunder have the advantage in the average points allowed account, giving up 98.5 compared to the 100.3 average points mark that the Clippers have given up. On Friday, the Clippers lost away to the Raptors, the Toronto side winning by 123-107 while on the same night, the Thunder lost at home to the Pelicans. This was a bit of a shock result, with the New Orleans 113-116 team enjoying a 113-116 away win. The Los Angeles side have a number of players being monitored on a daily basis including JJ Redick, Hedo Turkoglu and DeAndre Jordan. Oklahoma City Thunder may be without Kevin Durant and Perry Jones while Kendrick Perkins is being monitored on a regular basis. Taking the Clippers with a +3.5 handicap, at odds of 1.90, could be just the ticket for your Sunday NBA betting action. Bet Now!